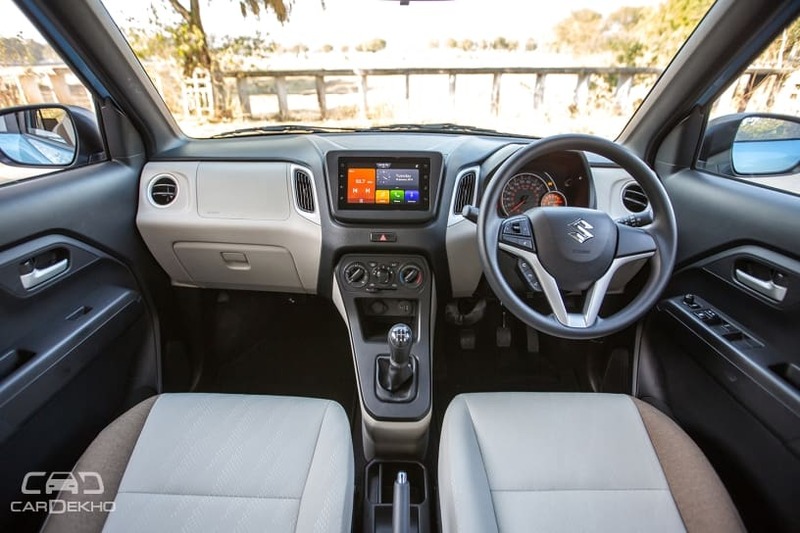 Launched at Rs 4.19 lakh (ex-showroom Delhi), the 2019 Maruti Wagon R rivals the likes of the Datsun GO, Hyundai Santro and the Tata Tiago. That said, some of its variants also go up against bigger hatchbacks like the Grand i10 and the KUV100. While we have already seen how the Wagon R fares against the Ignis, this time we have pitted it against the Grand i10. Let’s see if the Maruti offers better value (based on the features on offer) when it comes to similarly priced variants. Before we dive into the detailed comparison, let’s take look at the major differences between the two hatchbacks. 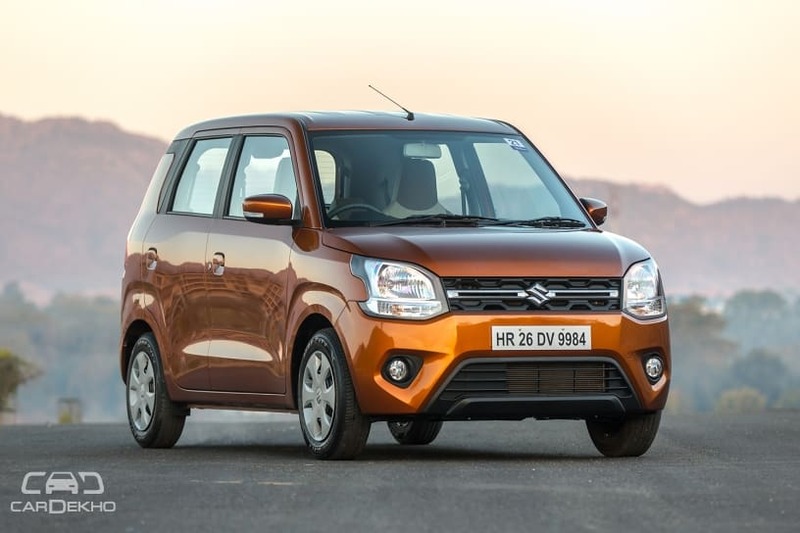 A compact hatchback: The Wagon R is a compact hatchback, which basically sits between entry-level hatchbacks (like Alto 800) and midsize hatchbacks (like Maruti Swift). 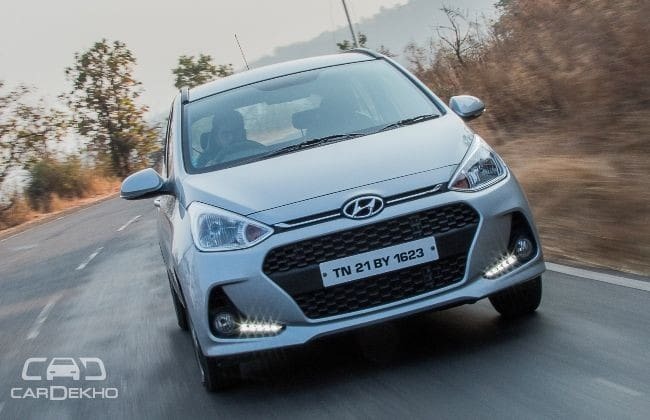 A midsize hatchback: A segment above the Wagon R, the Grand i10 sits between the Hyundai Santro and Elite i20. 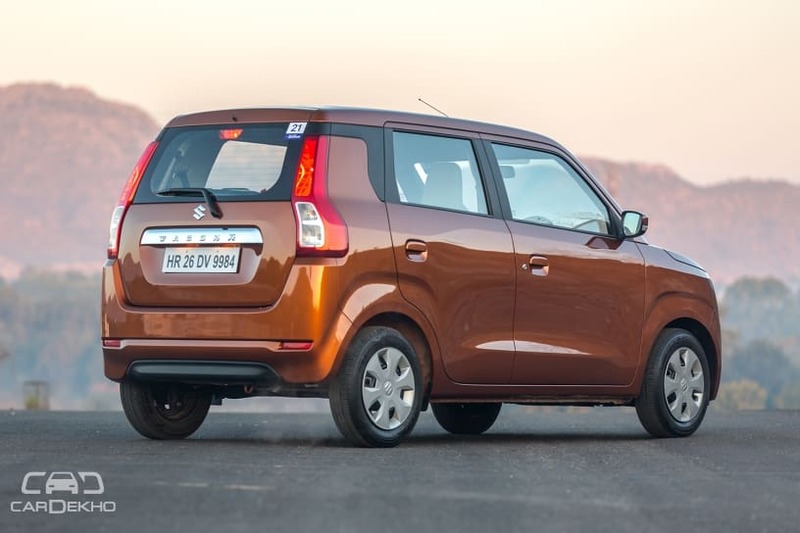 Two petrol engines: Along with a 1.0-litre petrol engine, the new Wagon R also gets an 83PS/113Nm 1.2-litre four-cylinder petrol engine from the Ignis Both the engines are mated to a 5-speed MT and AMT. Diesel fuel option: Unlike the Wagon R, the Grand i10 is available with both petrol and diesel engine options. While the petrol engine is a 1.2-litre unit, it gets a 1.2-litre 75PS/190Nm diesel engine options as well with a 5-speed MT. AMT: The Wagon R gets a 5-speed AMT gearbox too. It can be had with both the engine options, but in V and Z variants only. Torque Converter: The Grand i10 petrol, on the other hand, can be had with a 4-speed torque converter automatic gearbox as well. It is available in the Magna and Sportz variants only. The Grand i10 is longer and wider than the Wagon R.
Despite being from a segment below, the Wagon R has a longer wheelbase. While the Wagon R is available with two petrol engine options, the Grand i10 gets only one petrol engine. 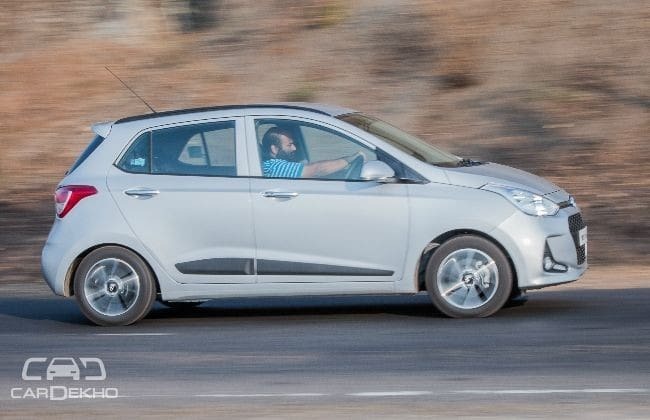 The Grand i10’s 1.2-litre unit makes 15PS/23Nm more than the Wagon R’s 1.0-litre unit, however, its power and torque figures are identical to the Maruti’s 1.2-litre unit. Both the cars are offered with a manual transmission as well as an automatic gearbox. However, the Wagon R comes with an AMT, whereas the Grand i10 gets a torque converter unit. Variants: We will be comparing similarly priced variants only, where the price difference is ~ Rs 50,000. Comfort: Power steering, manual AC, front power windows and adjustable ORVMs. What Maruti Wagon R VXI(O) 1.2L offers over Hyundai Grand i10 Era: Rear parking sensors, speed alert system, front seatbelt with pretensioner and load limiters, front seatbelt reminder, speed sensing door lock, central locking, roof antenna, front fog lamps, wheel caps, body-coloured door handles and ORVMs, keyless entry, 60:40 split rear seats, electrically adjustable ORVMs, manual day/night IRVM, tilt-adjustable steering, rear power windows, SmartPlay Dock 2-din music system with Bluetooth, Aux and USB and steering mounted controls. Verdict: Without a doubt, the Wagon R is our pick here. Despite being more affordable than the Grand i10, it packs a whole lot of important features for safety, comfort and entertainment. Safety: Central locking and speed-sensing door lock. Exterior: Body-coloured ORVMs and door handles, roof antenna and wheel covers. Comfort: Day/night IRVM, keyless entry, rear power windows, steering-mounted controls, rear AC vents and electrically adjustable ORVMs. Infotainment: 2-din music system with Bluetooth, Aux and USB support. What Maruti Wagon R ZXI offers over Hyundai Grand i10 Magna: Rear parking sensors, speed alert system, front seatbelt with pretensioner and load limiters, front seatbelt reminder, front fog lamps, turn indicators on ORVMs, tilt-adjustable steering, rear washer and wiper with defogger, a 7-inch touchscreen infotainment system with Apple CarPlay and Android Auto, electrically foldable ORVMs and front fog lamps. Verdict: The Wagon R continues to be our pick simply because it is way better equipped than the Grand i10. 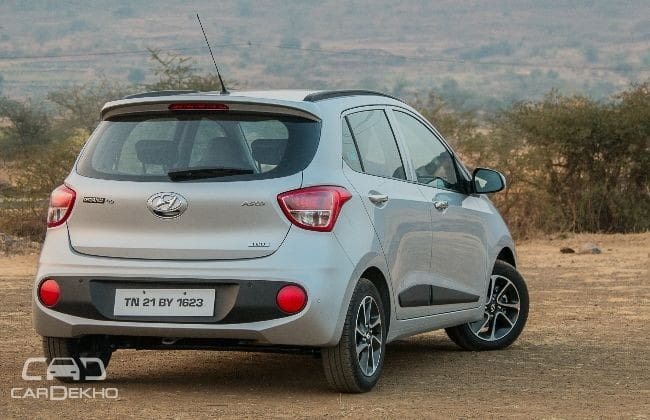 The Hyundai does get rear AC vents, which the Wagon R misses out on, but it is a fair trade off considering the extra features the Wagon R has and the premium the Grand i10 commands. Better Equipped: In all the variants we have compared, the Wagon R is clearly the better-equipped car than the Grand i10 on all fronts. All this, while being more affordable. More Versatile: The Wagon R comes with 60:40 split rear seats, which makes the hatchback more versatile. When not in use, the rear seats can be folded down to open up an enormous 710-litre boot. Rear AC vents: If you are someone who will spend a majority of time in the back seat or travel with family most of the times, the rear AC vents on the Hyundai could be a useful feature. A Bigger Car: The Grand i10 is longer and wider than the Wagon R, so it will feel more premium and be comfortable on the inside too. Merzouga Rally 2019: Hero and TVS pilots shine, Abdul wins his class!